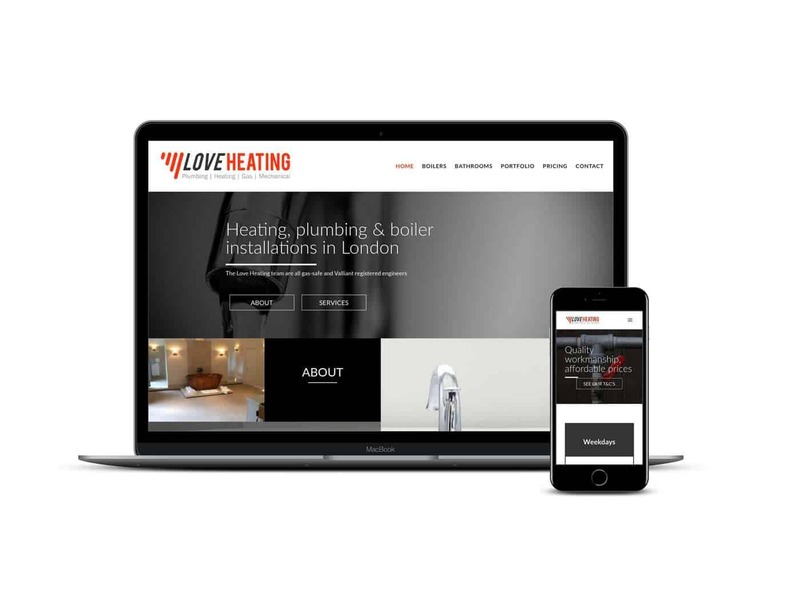 Here you can see a selection of recent customers who have taken their online presence to the next level, with a smart, user-friendly and responsive website. 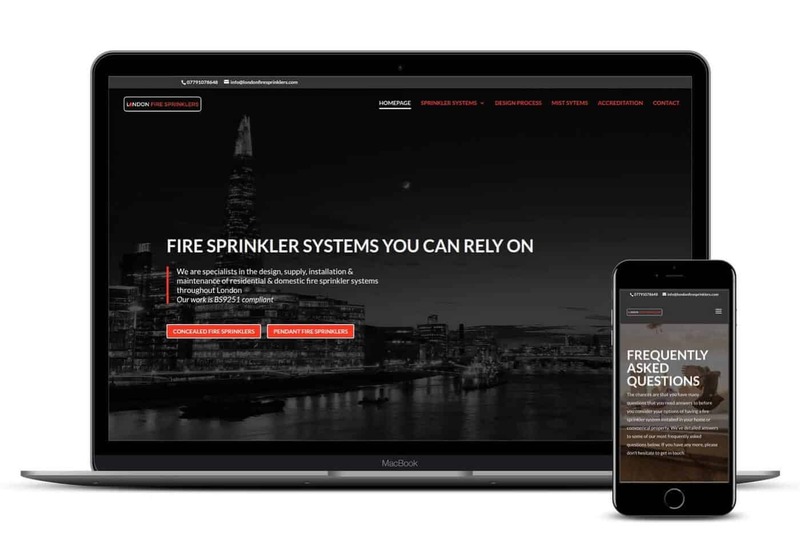 I built a new website for Simon’s Fire Sprinkler business in 2017. After seeing how much better a properly optimised webiste could perform, he asked if I could rebuild his Wix website which promotes his general plumbing business. I’m super happy with the style of this site, which uses special split sections on the homepage to create something really visual and enticing. London Fire Sprinklers is informative and simple to follow. Powerful photographs, with a slightly darkened overlay enables the white text to be easily read, on any device. On the day the site was handed over to the customer, he received his first phone enquiry! 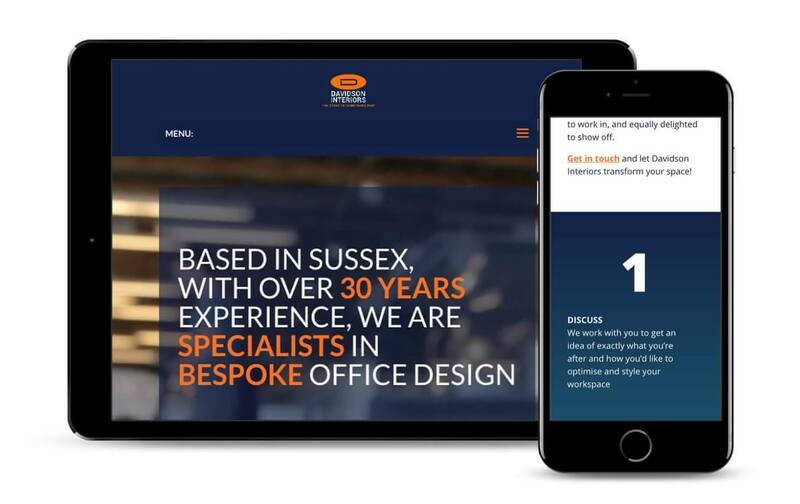 One of my most recent websites was built for Ben, who runs an interior design business on the South coast. I’ve used some of my favourite elements within the design of this website, including coloured gradients. 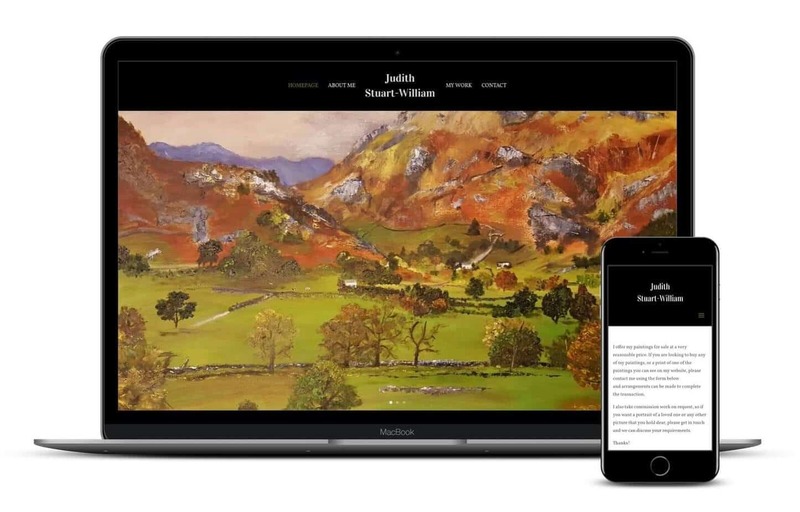 I love the bold homepage on this website site I created for Judith, a family friend of mine. Being an artist’s website, I had so many beautiful images of her work to choose from!